Discussion in 'Property Tours' started by Mstains, Mar 19, 2019. Wendsday evening got the grandson to help clean up some from last weekends cutting. Spent about an hour with him dragging brush and me cutting then went and got some ice cream. The hill in the background is part of appox. 3000 acres of state game lands. It's approx. 500 to 600 yards from my ground with two other properties between. Went up for a couple hours myself today didn't take camera along to section I'm cutting out. Needed someone dragging brush me trying to both your self is a pita. 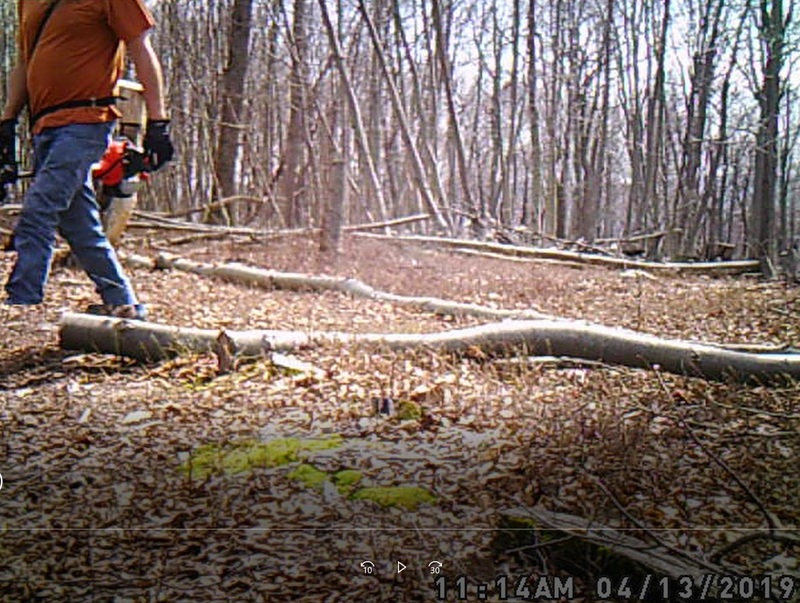 Did check trail cams today. Noticed one of my hazel nuts had catkin on it this will be the third year for them. Almost all of them had catkins last year. I think their confused and too small and too young. My apples are just starting to open. This is my Walmart red apple. My nwc trees are starting to open also didn't carry camera up to them. 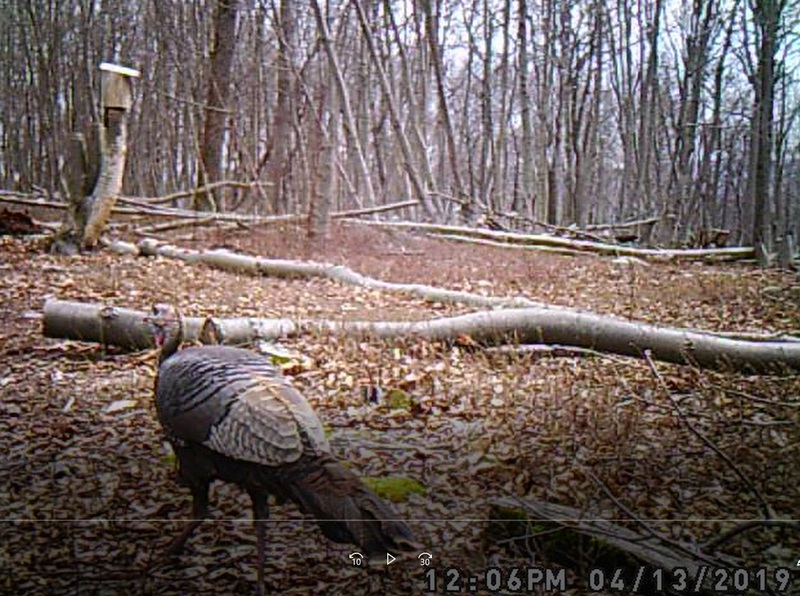 Are you cutting for the food plot or just to make thick cover? Cutting to plant chestnut trees. I may try some clover this fall as this area isn't as rocky as other area I tried clover before. 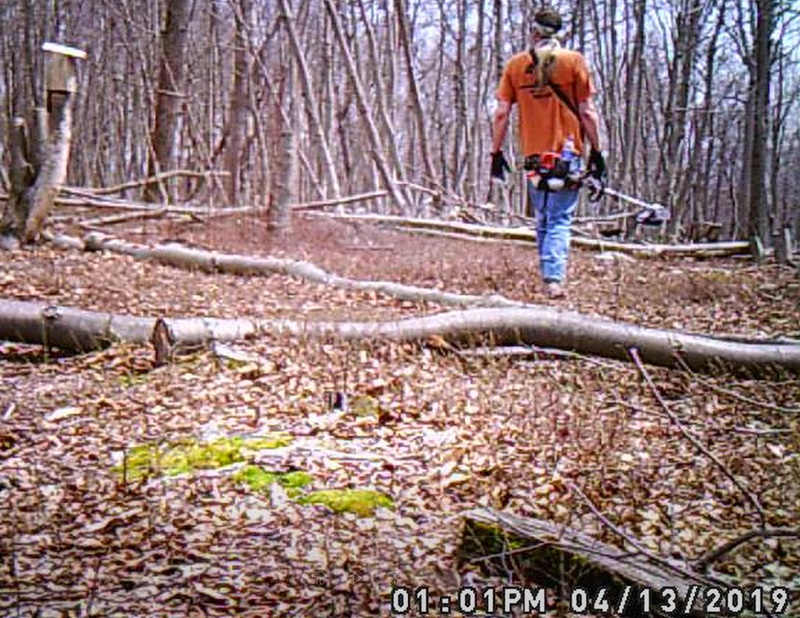 If you would pick some of the rocks in the less rocky area and get some clover started you would have all of the deer in the neighborhood there. However, it takes clover 2 seasons to get really nice. I have had great luck using Humistart which is made by Timac. 400lbs an acre and you can get it in 50lb bags. I have rocky dirt with little to no soil in it. I believe using this stuff a person can grow things on a side walk.. you should be able to get clover started, I like planting oats when I do a new clover stand to help protect it the first year.